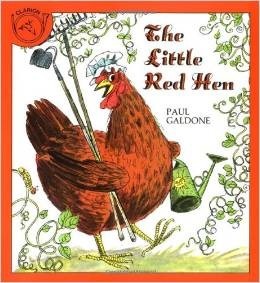 Each version still told the same simple story, but sometimes the characters or friends that didn’t help the Red Hen were different. 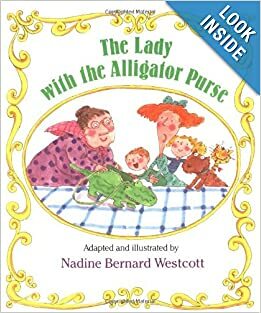 We always had a discussion at the end of the book about the similarities and differences between all of the stories. 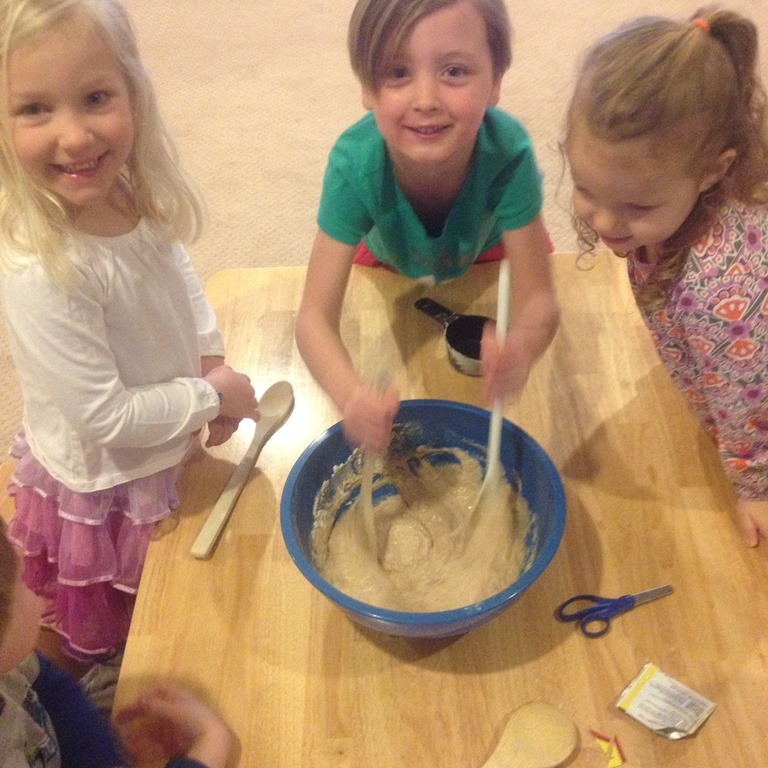 Then we got to bake our own batch of Honey Whole Wheat Bread! I used this recipe from My Small Potatoes blog. 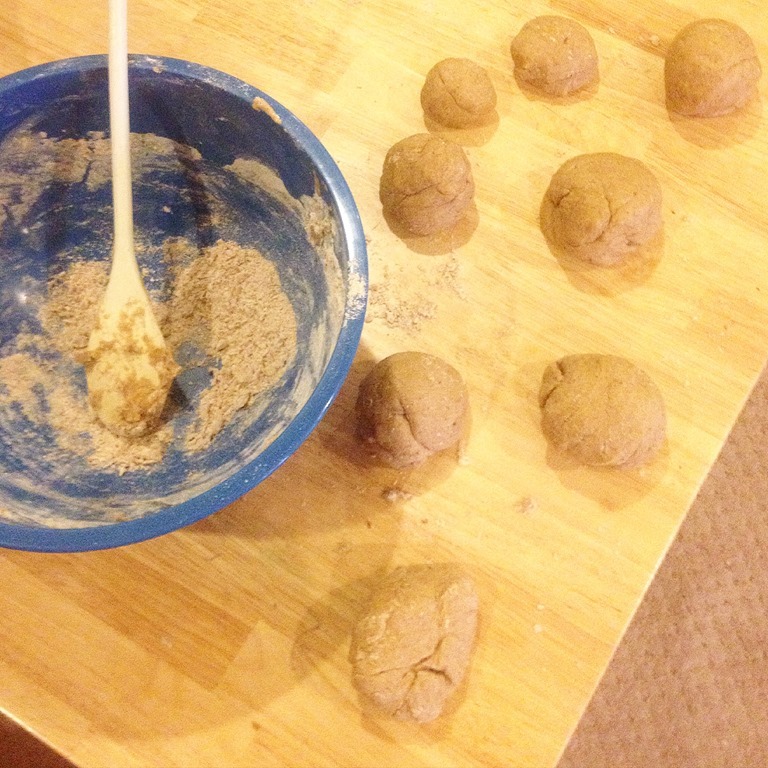 I used King Arthur’s whole wheat flour instead of white. 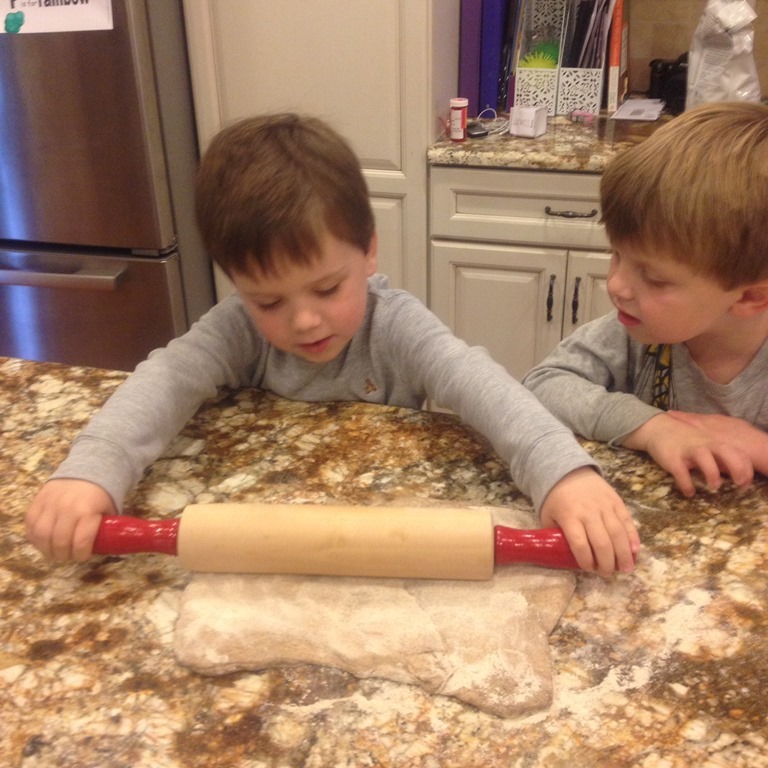 Then we kneaded and baked the bread! 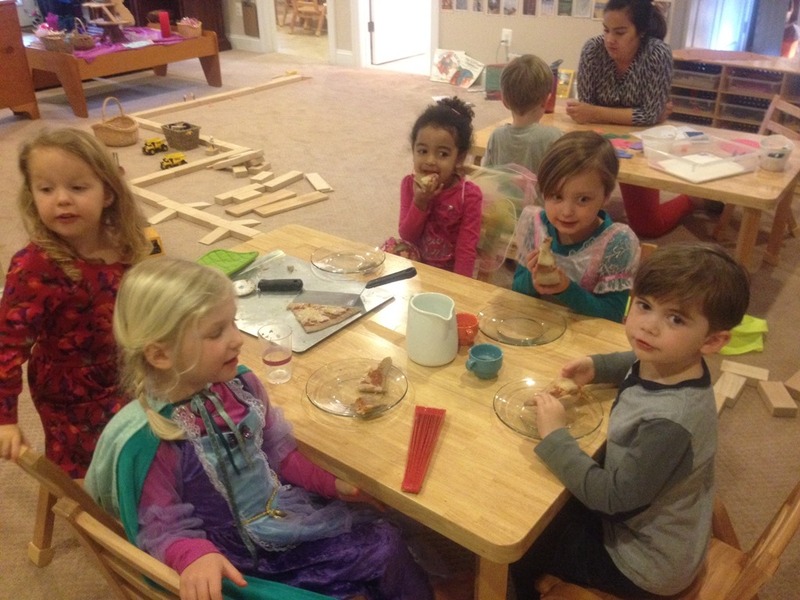 Everyone enjoyed their own little loaf, and got to take them home fresh from the oven! 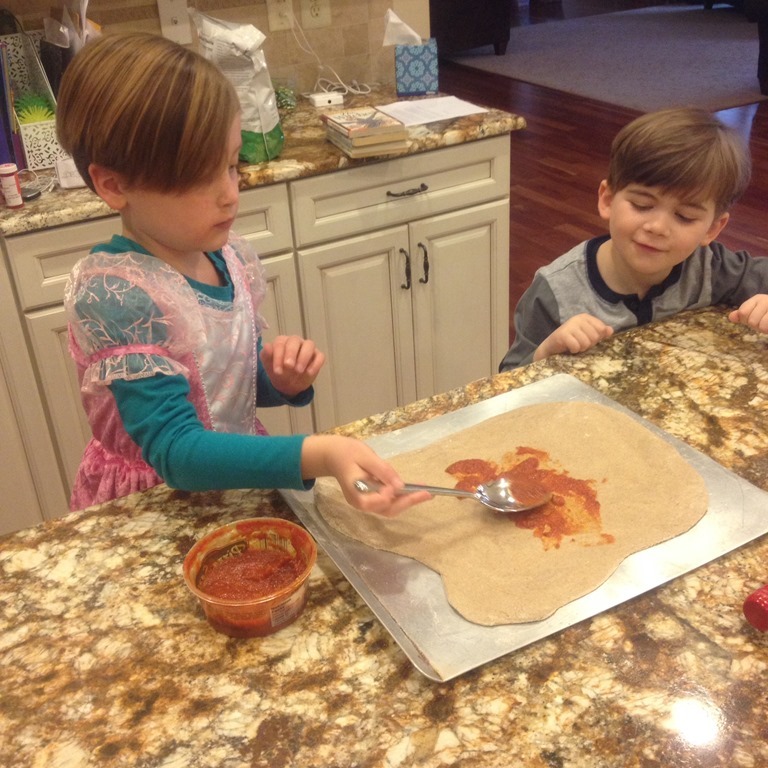 I think we will be making this recipe again before the school year is out! 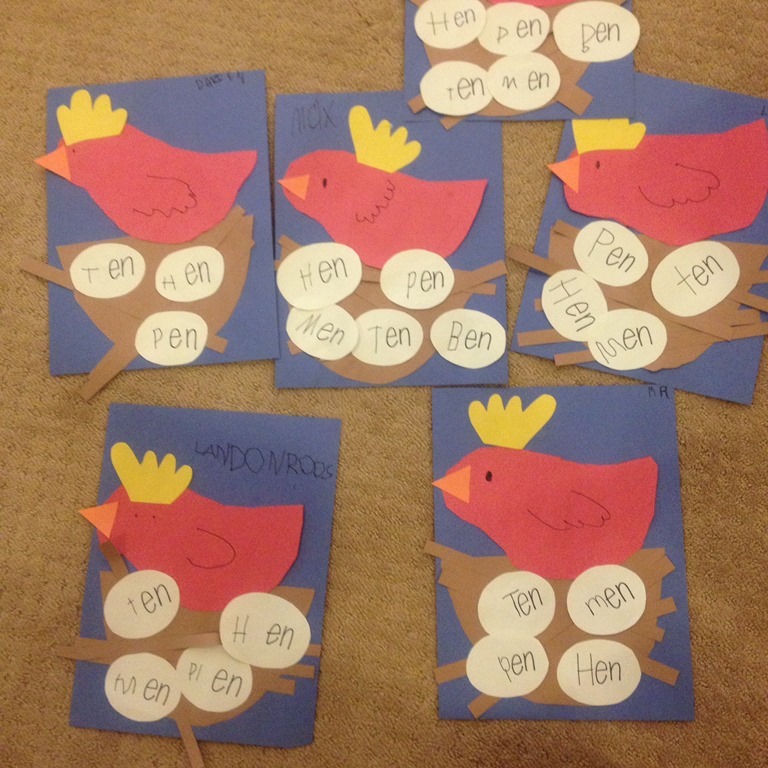 We also made some little red hens, and they laid rhyming eggs! 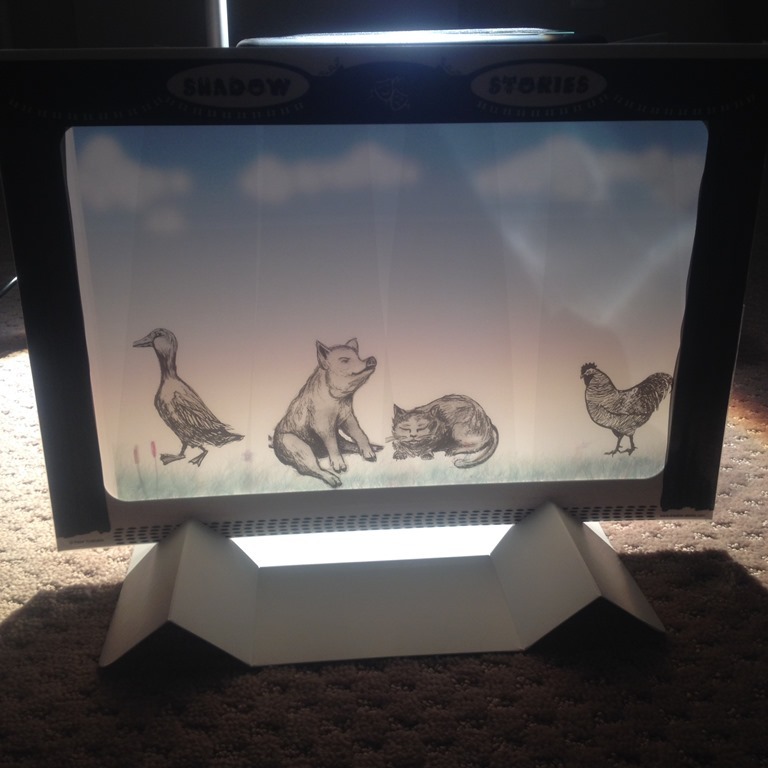 This is our new shadow puppet theatre! 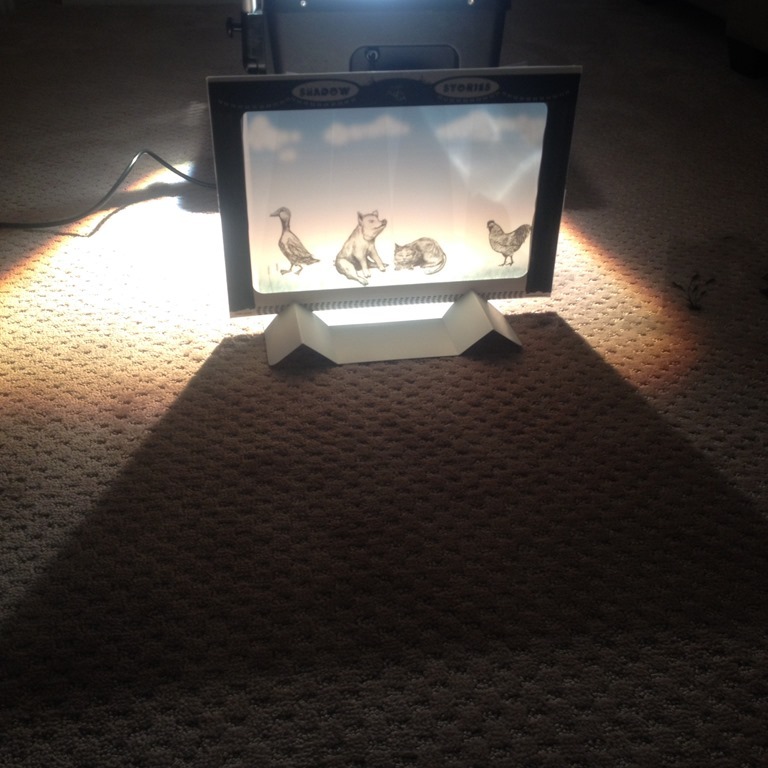 I retold the story of The Little Red Hen using the transparency puppets a few times during the week. I was hoping this would inspire some of their own puppet making, but for now they were just really interested in hearing the story. 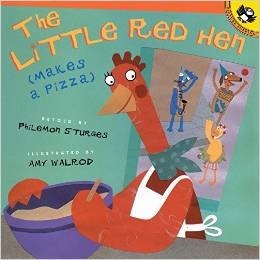 The last book we read this week was The Little Red Hen (makes a pizza). 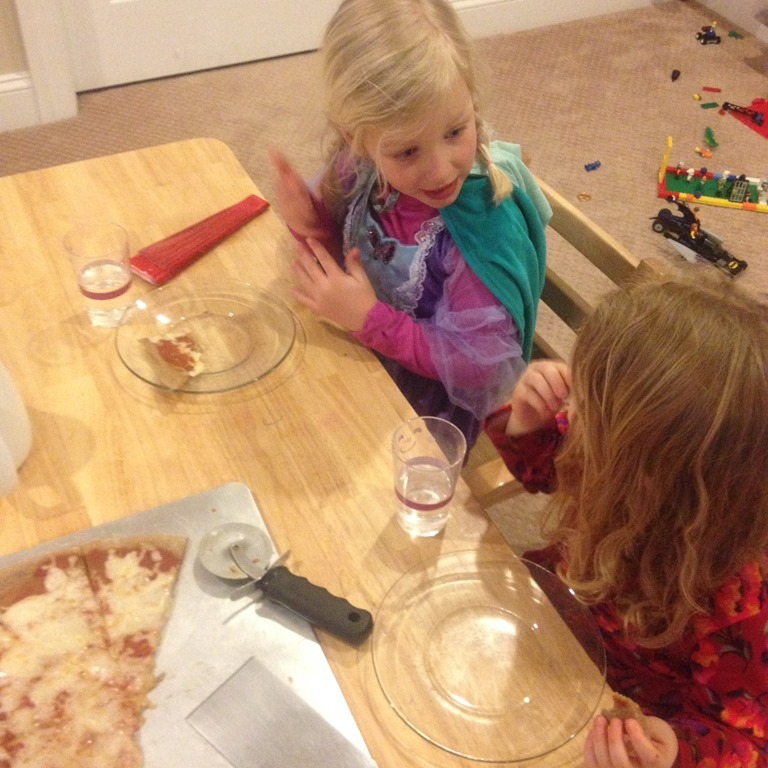 Of course we had to make our own class pizza! Added the pizza sauce and cheese! And gobbled it up! This was enjoyed by everyone in the classroom! 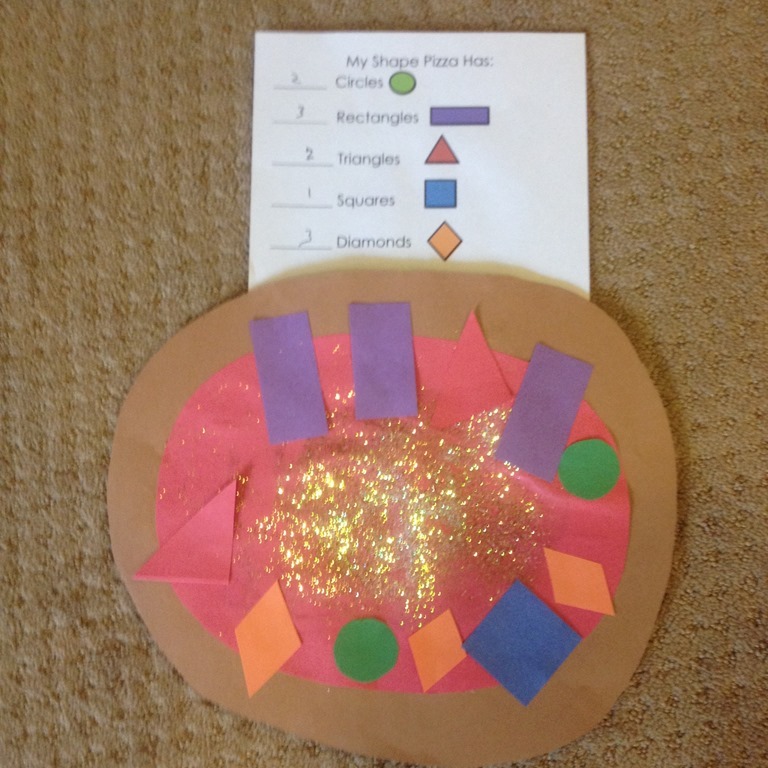 On Friday we also made our own shape pizzas, and then counted how many of each shape we put on our pizza pie! 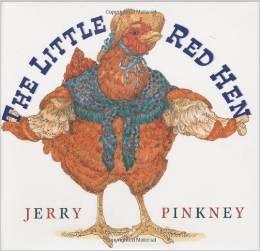 As a wrap up of The Little Red Hen each child was sent home with their first homework assignment to help out around the house for the weekend. They got to earn a sticker for each time they did a chore or helped their parents in any way! 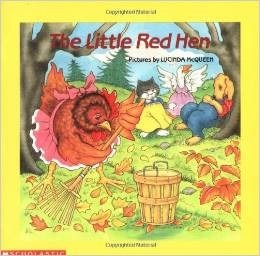 Categories: preschool, preschool literacy | Tags: baking, books, bread, fairytales, literacy activities in preschool, literacy connections, recipes | Permalink. We have spent quite a bit of time singing songs and listening to new books in this first month of school. One of the focuses has been on song books. I have a huge collection of song books. 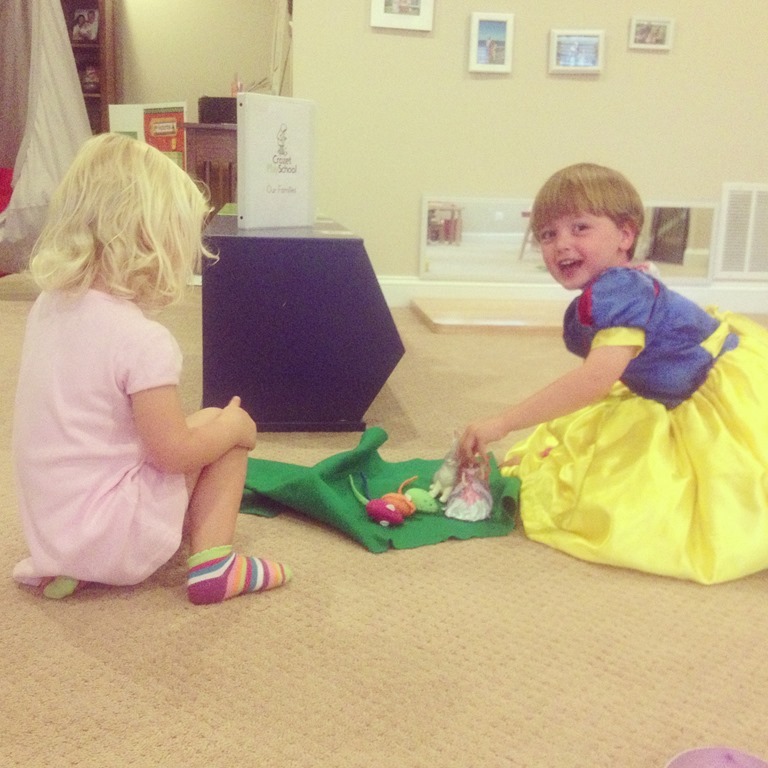 They are wonderful for building early literacy skills. What does that mean exactly? Some of the activities I have been doing to promote early reading skills and a love of books is repetitive reading. When children hear stories again and again (which we all know they love from bedtime routines), they begin to develop a better understanding of books and literature. I have read many different books throughout these first few weeks of school, but I have focused on a select few to emphasize with the class. 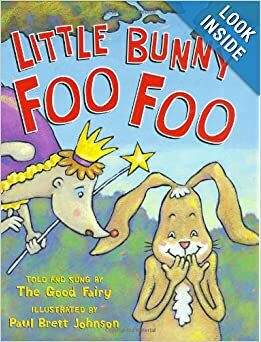 We spent a great deal of time reading “Little Bunny Foo Foo.” It is a silly song that has an accompanying songbook. I also have a few different versions of the book, and that makes the read alouds exciting for the group. They love to compare the books and talk about the similarities among the story lines. 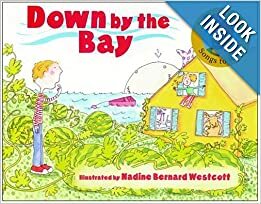 In addition to the multiple copies of the book, I also have the book read aloud on tape, which we listened to many times and the song on the CD player which they loved as well. 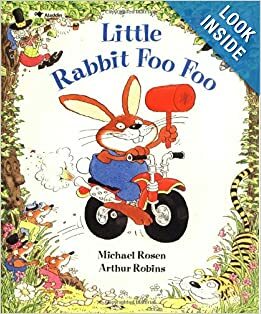 At the end of our multiple readings of “Little Bunny Foo Foo” I provided the group with some props to facilitate their learning even further. 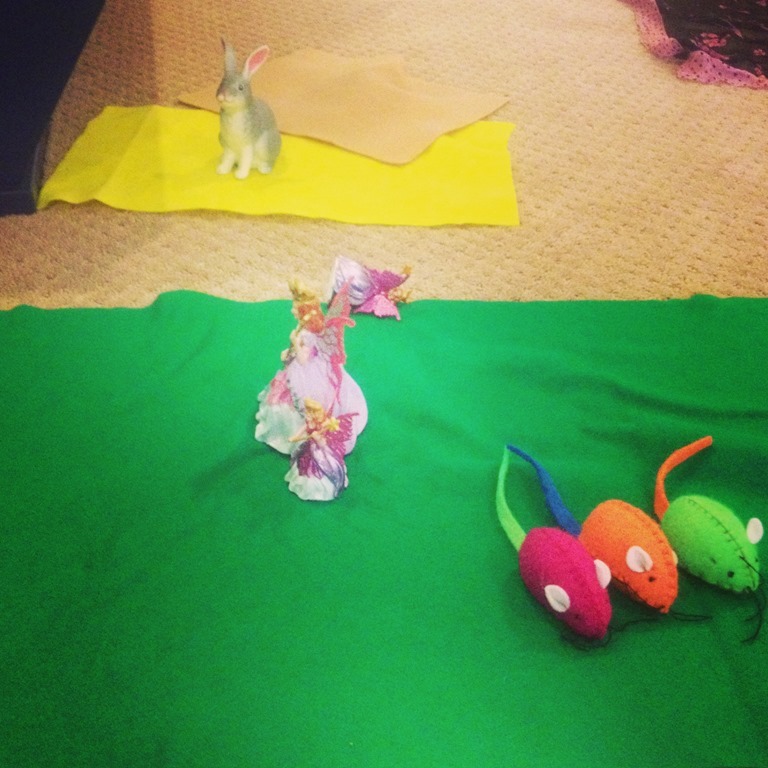 I gave them green felt to represent the forest floor, a fairy, a bunny, and three little mice to be the “field mice.” The kids even found my other fairies to add to the prop center for this songbook. I would leave the props out during free time, and told them they could visit the Little Bunny Foo Foo area whenever they wanted. 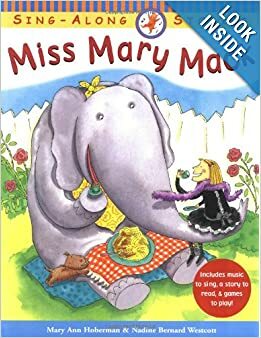 I would find children singing the song and acting out the story for their friends. They would usually gather an audience once they started singing. When I am teaching I am by myself with the kids. The trickiest time of day is right after snack. 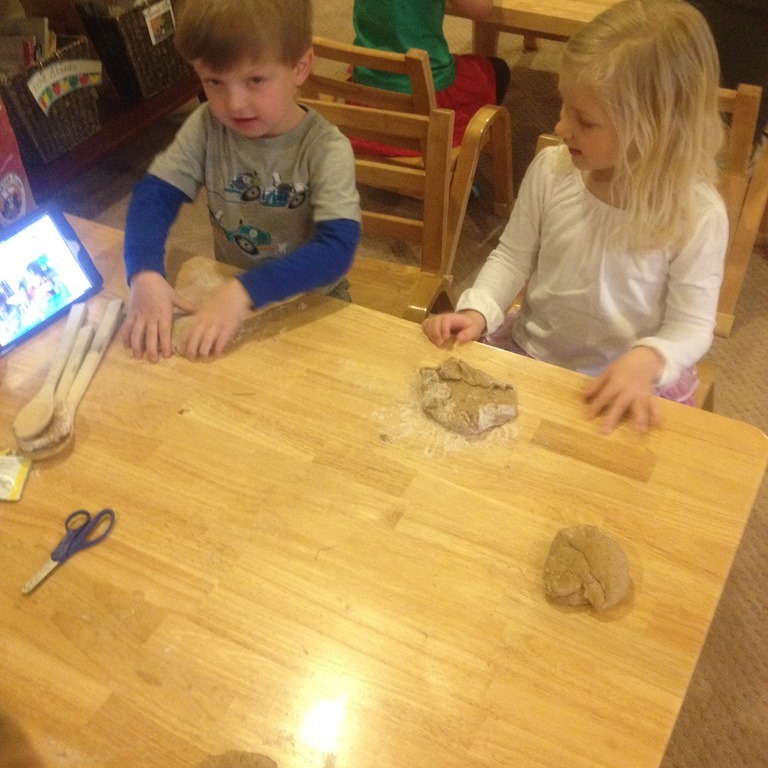 Children are finishing eating, washing their dishes, using the bathroom, and getting on their shoes for outside time. I have started pulling out my song book basket to give me some time to help children finish washing their dishes while their friends wait. They always pull out the books we have read again and again. I will hear them singing along to the book, turning the pages, and adding in some extra verses. This is all the beginning of literacy development! I can go on and on with song books! Please email me if you would like some more suggestions for getting started with song books in your house! 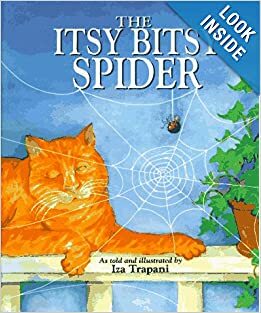 We had so much fun reading this book a few mornings in a row. I created a magnet board activity that coordinated with the book reading. 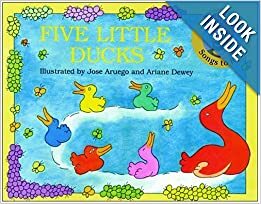 While I was reading the book aloud, children would come up and put apples on top of the different animals as the actions were happening in the story. 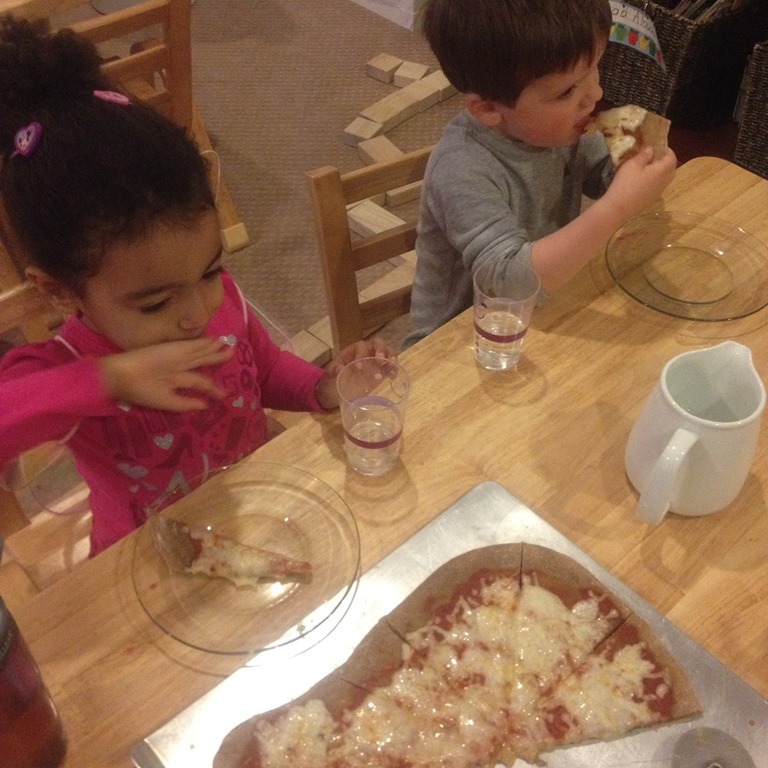 They loved this activity! I came out of the art room and I found M manipulating the magnet board and moving the apples around. 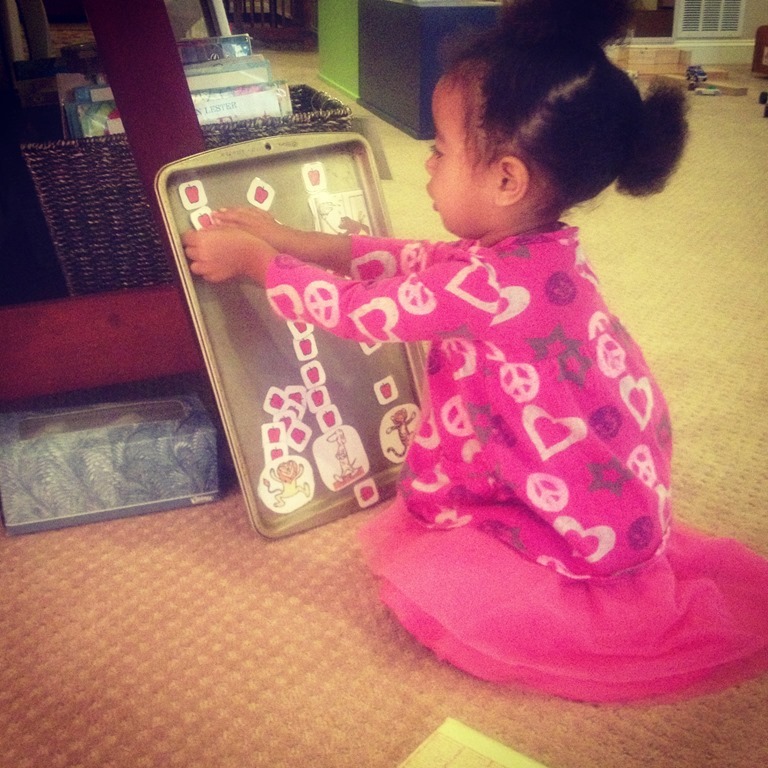 She remembered the story and was talking to herself as she moved the pieces on the board. I also had this same magnet activity on our very large magnet board. They had two areas in the room to visit this re-telling of the story. M reading 10 apples up on top! 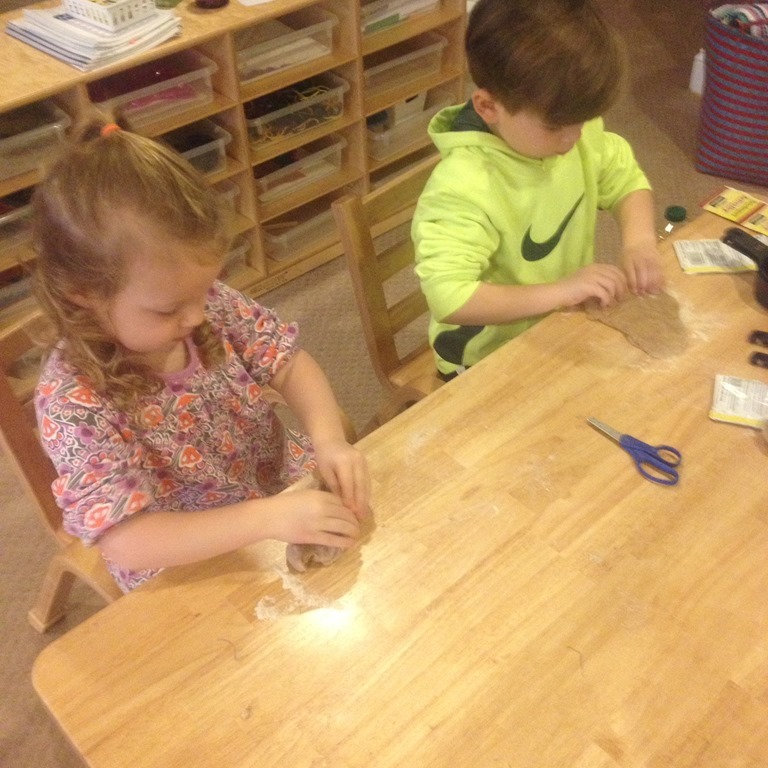 To reinforce our friends and classroom community building, I created an “Apples on Top” activity with stamping. L’s hand is blurry, but they were given a pom pom that was being squeezed by a clothespin. They were able to add apples to each of their friend’s heads. 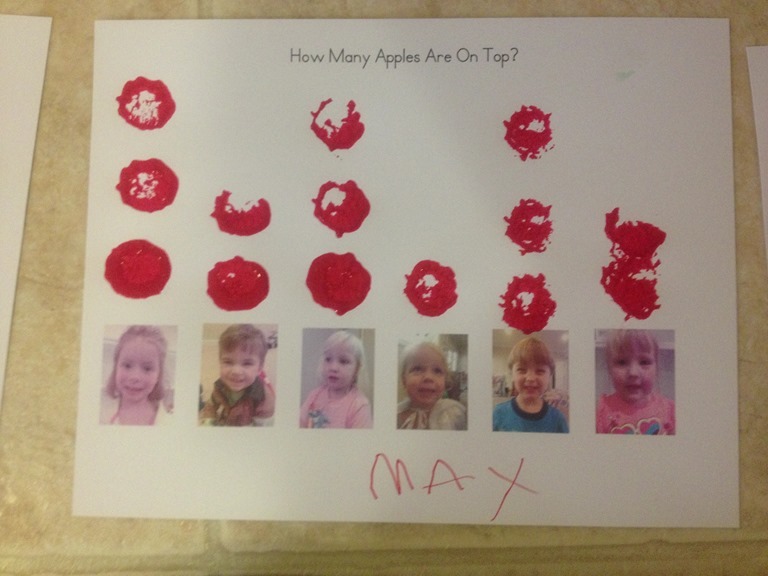 For some of my pre-K students we counted the apples and wrote the number under each of their pictures to reinforce the math portion of this activity. 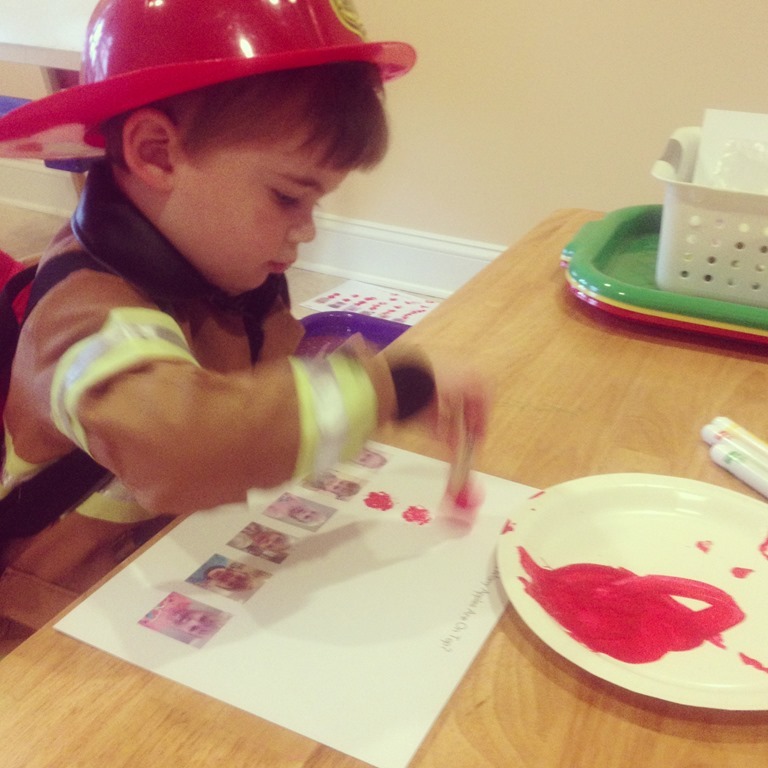 Literacy readiness can be incorporated into most of our activities at preschool. I love to see them really get excited about the books and song books we have been discussing. They are building such a great foundation and enthusiasm for reading! 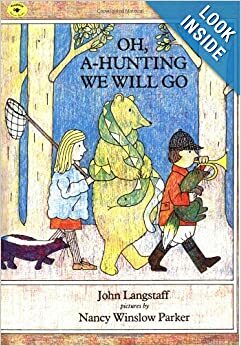 Categories: education, play based learning, preschool | Tags: dr suess, fall themes, literacy activities in preschool, philosophy, preschool reading, read alouds, reading, song books, stories | Permalink.